Rustic Modern Design has taken the interior design world by storm. The appeal of this style is that it has a clean, functional look while maintaining a sense of character and personality. Modern design can sometimes become too bland and doesn’t allow for a lot of personalization. With the addition of rustic elements or period pieces, a clean, modern look can instantly be transformed into a personalized room. It is now modern to include your favorite flea market finds with your favorite modernized chairs, or your multifunction, modern light fixtures with a great antique armoire. Just to give you some ideas, here are a few great ways to incorporate the Rustic Modern design into your favorite rooms. Adding an animal wall mount to your room adds an interesting and personalized effect to a modernized room. Plus, there are so many great (humane) options to choose from. 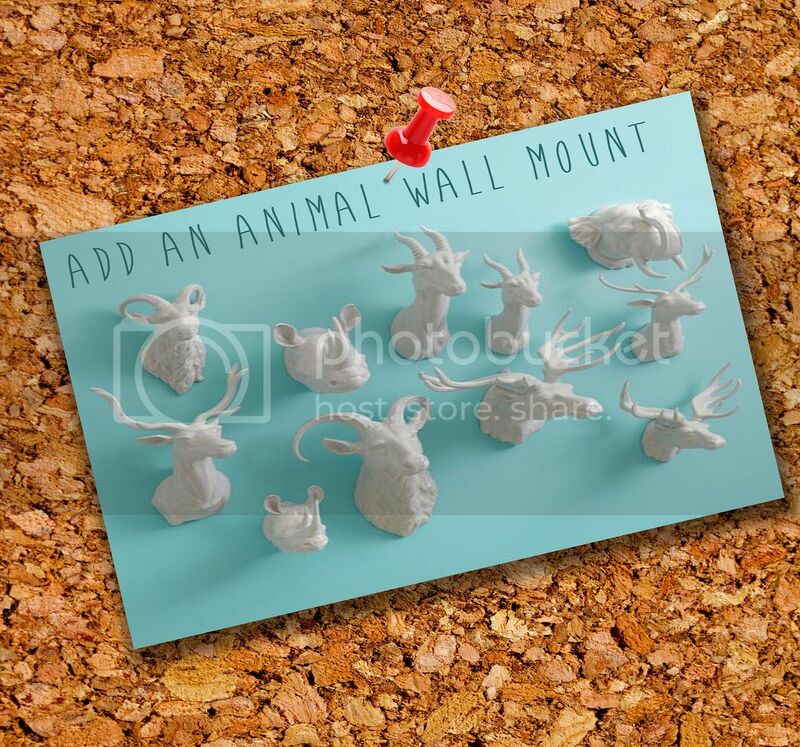 Artists and designers are creating stylized sculptures of animal wall mounts in order to offer a great alternative to planting a taxidermy animal on your wall. There are ceramic and resin wall mounts, as well as some gold. I especially love the white ceramic variation, it gives a great spin to the idea of an animal wall mount. Mount one of these guys on a turquoise or mint green wall and you’ll have a bright, fun room to enjoy anything from reading to eating in. Searching for a headboard? Why not try some old doors. There are normally people looking to get rid of doors, it would be simple to take them, paint them, then sand them down to create the look pictured above. 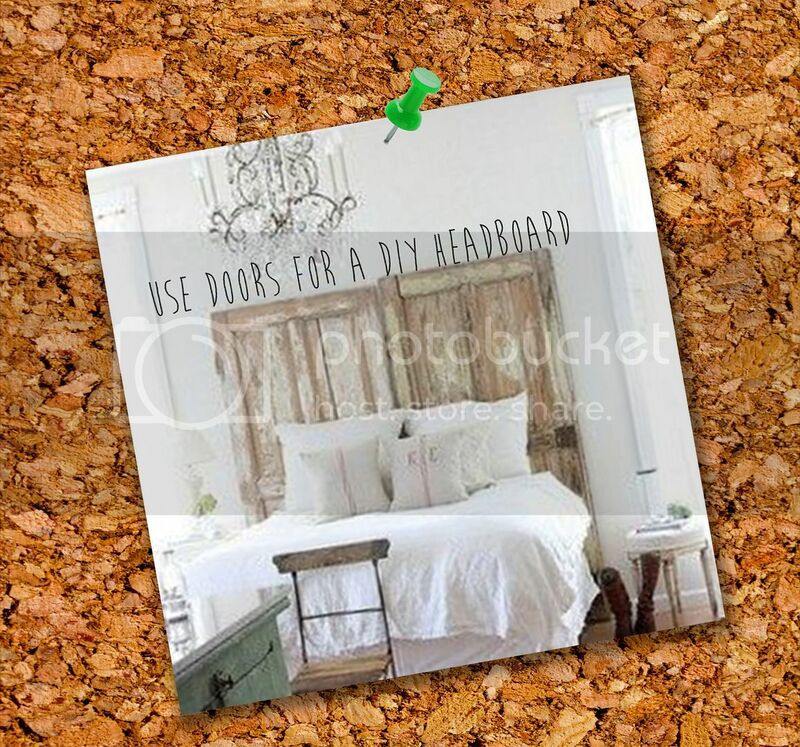 Or, if you get really lucky, you can even find some antique doors and use those as a great centerpiece to your room. This is a great way to add interest to a modernized room. Do you already have an antique table or rustic table as a point of interest in your kitchen? 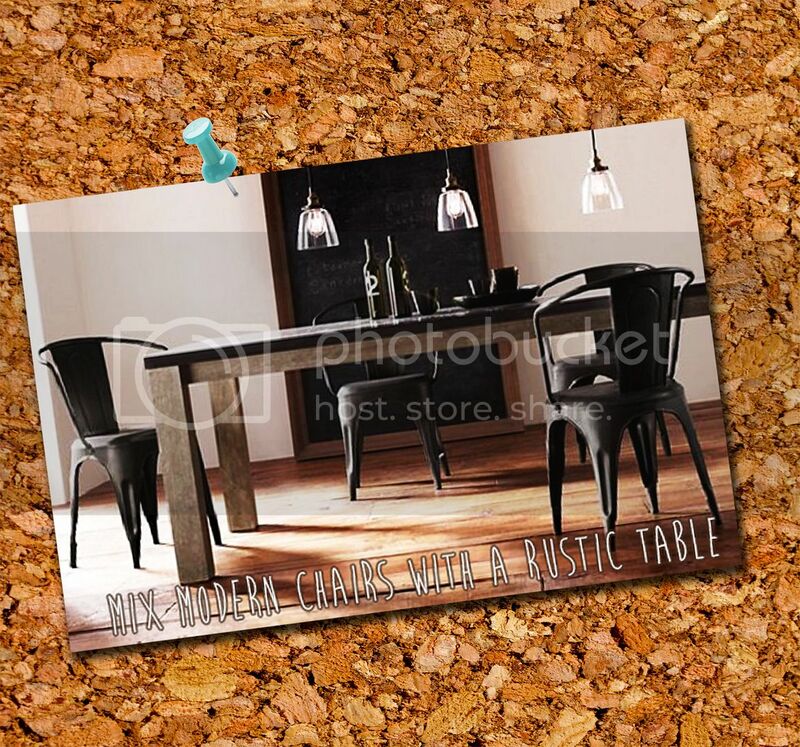 Pair your table with modern chairs for a mixed, rustic modern look. Modern chairs will offset your table and create a balanced, clean look in your kitchen. Your table will become the perfect centerpiece while the chairs become the perfect accent. Wood creates the perfect rustic feel. 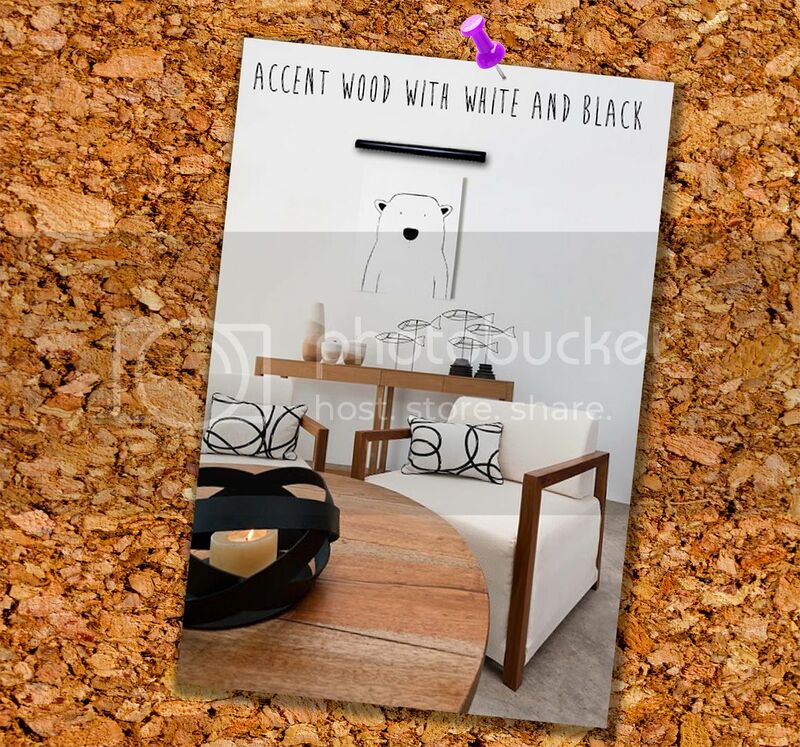 To add the modern touch, offset your wood décor with black and white accents. Add black, simple statues for a modern looks. Use patterned pillows for an extra point of interest. You can even find pillows with vintage prints to add to the rustic modern look. Pair your black and white pictures with a sleek, black picture light. Find wooden furniture to create a natural, modern look.